“The bride and groom can design their own décor scheme with the help of their wedding planner"
Before a wedding even begins, it is important for the bride and groom to decorate the venue in a way that reflects their own personalities. Decorations may only be one aspect of a wedding day, but the careful selection of colours and lighting can help set the ambience for the entire event. 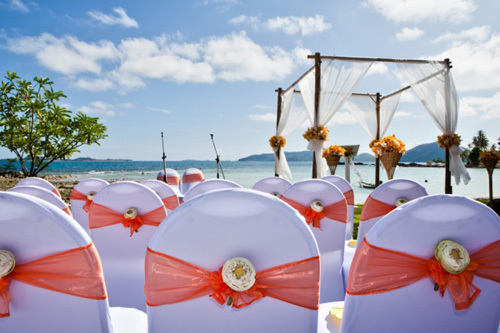 Couples that host their wedding in a hotel on Phuket are often restricted in terms of the decorations available. Hosting a private villa wedding, however, gives the bride and groom the opportunity to get creative. Traditional Thai blooms like lotus flowers and orchids are popular decorations for the ceremony. In the evening, the glowing light of many candles in interior and outdoor areas is a great way to set a relaxed ambience. Twinkling fairy lights on palm tree trunks also another way to introduce light to the proceedings. Without the regulations often imposed by a hotel, couples can plan the schedule of their wedding day exactly as they wish. 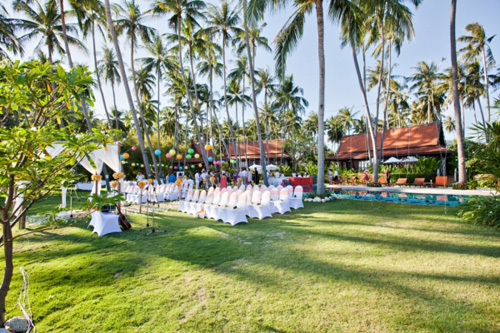 Traditionally, Thai weddings begin early in the morning, but many couples that travel from overseas to host their wedding in Thailand prefer to avoid the heat of the day by kicking off the celebrations in the late afternoon. A fun way to begin the wedding is with drinks and appetizers to give guests the chance to settle in. After this, the ceremony can commence before a sunset photoshoot. Once dusk has truly fallen and the temperature has dropped by a few degrees, it is nice to tuck into a good meal before you get the party started around the private pool. Another of the joys of hosting your wedding celebration in one of Phuket’s private villas comes when planning the menu. A Thai buffet provides an exquisite feast for wedding guests, as well as providing a great opportunity for them to sample a selection of local dishes they may never have encountered before. With a private chef to prepare the cuisine to order, couples that prefer to bring their native tastes to the wedding table can can opt for a specially selected menu, including a spread of vegetarian dishes. 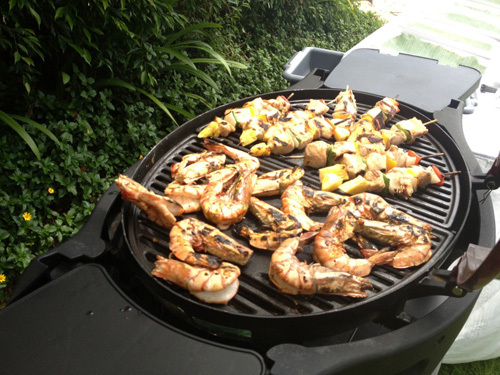 Phuket and Koh Samui are particularly famed for their wonderful seafood, so many couples choose to embrace this by treating their guests to a mouthwatering surf and turf combination. 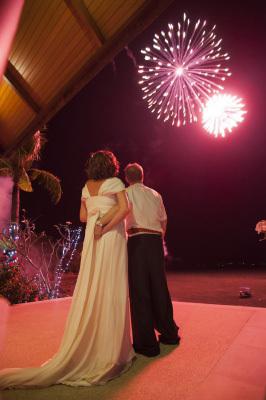 Providing entertainment for guests on your wedding day is a breeze on sophisticated holiday islands like Phuket and Koh Samui. Whether you want the traditional “family disco” feel, a live band, or the soft serenading sounds of a professional acoustic guitarist, the islands have it all. Couples travelling a long way to tie the knot in the Land of Smiles often want to make the most of the country’s rich culture while they are there. By hiring traditional forms of Thai entertainment at your wedding, bonding in some culture is easy. An exciting way to kick off the wedding ceremony is with a colourful parade of traditional drummers and dancers. Later on, a thrilling performance from Thai fire jugglers on the beach never fails to get guests in the mood for a s private rave.